Explore the history of our distinctive American Democracy and how we participate in creating a more perfect union through artifacts, exhibits and teaching resources from the National Museum of American History. 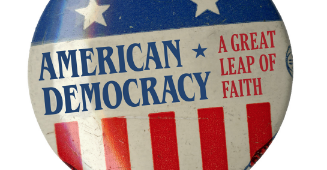 American Democracy: A Great Leap of Faith traces the unfolding of America’s experiment with government “of, by, and for the people” and illustrates the fact that democracy involves civic engagement and participation. This exhibition and its companion book examine the nature of American democracy through a historical lens. High school history teachers will appreciate the rich primary source materials and clear, concise narratives, with special focus on the American Revolution and women’s suffrage. Government teachers can review and reinforce essential aspects of citizenship with students through historical examples and personal narratives. Instructors in both content areas will find this a useful resource to enrich classroom instruction. Included in this teachers’ guide are comprehension and broader discussion questions as well as activities based on the content and themes of each chapter. The book includes rich imagery that can serve as illustrations in readings and class discussions on related topics in American history. 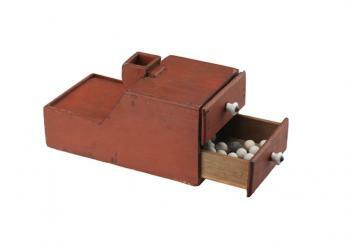 For recommendations on using objects and images with students, see the National Museum of American History’s “Engaging Students with Primary Sources” teaching guide, https://historyexplorer.si.edu/sites/default/files/PrimarySources.pdf. This ongoing collection of posts from the National Museum of American History's blog "O Say Can You See?" 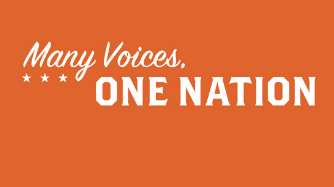 share stories and objects about The Nation We Build Together. For the six months that followed, hundreds of students, civil rights organizations, churches, and members of the community joined the protest and boycotted the store. Their commitment ultimately led to the desegregation of the F.W. 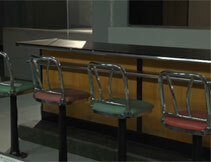 Woolworth lunch counter on July 25, 1960. 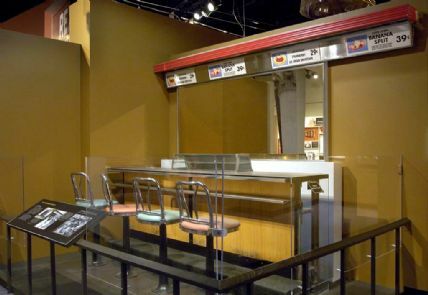 Their peaceful sit-down was a watershed event in the struggle for civil rights and helped ignite a youth-led movement to challenge racial inequality throughout the South. 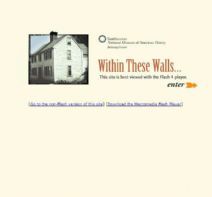 In this series of five short videos, students can watch a museum theater presentation. During the presentation, a fictional composite character from 1960 is conducting a training session for people interested in joining a student sit-in to protest racial segregation. The student speaks about the recent protests in Greensboro, North Carolina, and coaches members of the audience in the philosophy and tactics of non-violent direct action. Watch and discuss a 22-minute video of a Museum theater presentation. During the presentation, a fictional composite character from 1960 is conducting a training session for people interested in joining a student sit-in to protest racial segregation. The student speaks about the recent protests in Greensboro, North Carolina, and coaches members of the audience in the philosophy and tactics of non-violent direct action. 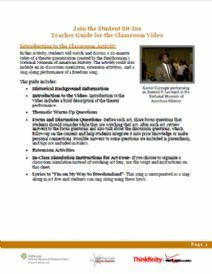 This teacher guide also includes instructions for an in-classroom simulation, suggested extension activities, and lyrics for a sing-along performance of a freedom song. Through almost 200 museum artifacts and about 100 loan objects, this exhibition shows how the many voices of the American people have contributed to and continue to shape the nation and its communities, from its earliest beginnings to the present. Through objects such as a painted elk hide from the Southwest, circa 1693, a Norwegian bowl brought by 19th-century immigrants, a gold miner’s trunk, symbols of union and liberty such as Uncle Sam and Columbia, and a baseball helmet used by Boston Red Sox player Carl Yastrzemski in the 1970s, the exhibition explores the never-ending process of becoming one nation. The role of religion in the formation and development of the United States is at the heart of this one-year exhibition that explores the themes of religious diversity, freedom, and growth from the colonial era through the 1840s. National treasures from the Museum’s own collection are on view, such as George Washington’s christening robe from 1732, Thomas Jefferson’s The Life and Morals of Jesus of Nazareth, also known as “The Jefferson Bible,” and Wampum beads. Significant objects on loan include Massachusetts Bay Colony-founder John Winthrop’s communion cup, circa 1630; a Torah scroll on loan from New York’s Congregation Shearith Israel, founded in 1654; a chalice used by John Carroll, the first Roman Catholic bishop in the U.S. and founder of Georgetown University; and a first edition of the Book of Mormon. 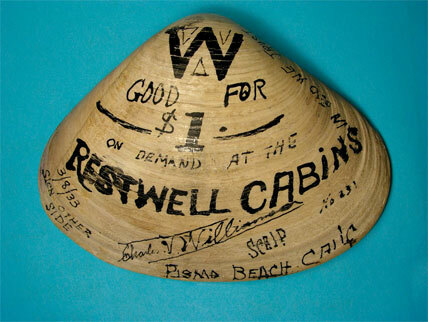 The objects represent the diverse range of traditions that wove through American life in this era, including many Protestant denominations, Roman Catholicism, Judaism, Mormonism, and Islam, as well as Native American and African beliefs and practices. The Smithsonian's National Museum of American History presents a filmed version of its on-the-floor program, The Suffragist. This set of three classroom videos examines the actions taken by suffragists in 1917 as they fought to win the right to vote. Students meet Rebecca, a historical character from Takoma Park, Maryland, who is grappling with the decision of whether, and if so how, she will join the movement. Through this, students analyze and discuss the suffragists’ arguments and strategies, and investigate the guiding question: What did it take for women to win the vote? The educators' guide for these videos, which can be downloaded here, contains critical thinking questions, discussion prompts, and links to a collection of primary sources at Smithsonian’s Learning Lab. These resources guide students to explore how the suffragists used the first amendment freedoms provided for citizens within the Constitution to take action, affect change, and reshape their democracy. 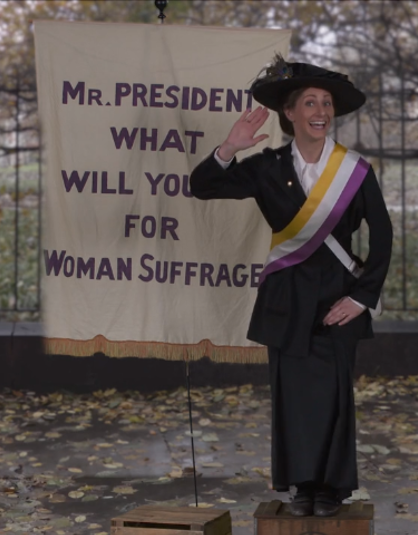 Joining the Movement: https://vimeo.com/258091287 In this video, Rebecca examines the history of the woman suffrage movement and decides whether or not to join the Silent Sentinels in their picket of the White House. Votes for Women: https://vimeo.com/258089443 In this video, Rebecca speaks at an open air meeting to argue why women should have the right to vote. Silent Sentinels: https://vimeo.com/258090364 In this video, Rebecca discusses the Silent Sentinels' picket at the White House and the public reaction to their protest. Through a set of three classroom videos, examine the actions taken by suffragists in 1917 as they fought to win the right to vote. Students will meet Rebecca, a historical character from Takoma Park, Maryland, who is grappling with the decision of whether, and if so how, she will join the movement. Using primary source analysis and class discussions, students will assess the suffragists’ arguments and strategies, and investigate the guiding question: What did it take for women to win the vote? This educators’ guide contains critical thinking questions, discussion prompts, and links to a collection of primary sources at Smithsonian’s Learning Lab. 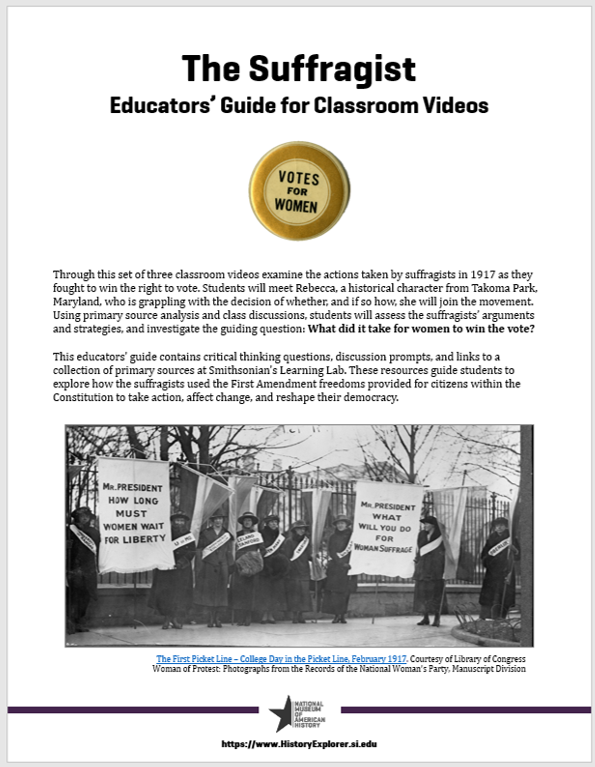 These resources guide students to explore how the suffragists used the First Amendment freedoms provided for citizens within the Constitution to take action, affect change, and reshape their democracy. Students will learn how the Smithsonian acquired the house at 16 Elm Street Ipswich, Massachusetts and saved more than a dozen family stories and 200 years of American social history. They will also learn some of the methods historians and curators used to learn about this house's past, the ways that it changed over time, and the people who lived in it.